Over on whatculture.com, Baz Greenland writes: Doctor Who: 10 Reasons Tom Baker Was The Greatest Doctor. You don’t have to give more than one reason. Tom Baker was my first Doctor. I’ve relayed, on more than one occasion, my introduction to Doctor Who. The short version that, while visiting relatives in Oklahoma I happened on the episode “Face of Evil”. I have been sold on the Doctor ever since. I have collected all of Tom’s episodes and have expanded that collection to include Peter Davison’s 5th incarnation of the Doctor and most of Jon Pertwee’s 3rd Doctor episodes. 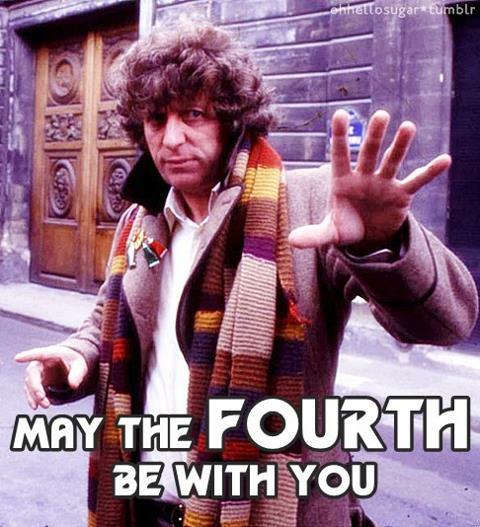 Tom Baker is my first and shall always be my favorite. There have been many other Doctors, but Tom Baker is mine and still is the greatest, thanks to Big Finish audio productions. Keep Calm and Carry a Bag of Jelly Babies.